Our children’s winter mittens offer outstanding protection from snow, wind, and rain, so kids can play outside, worry free. 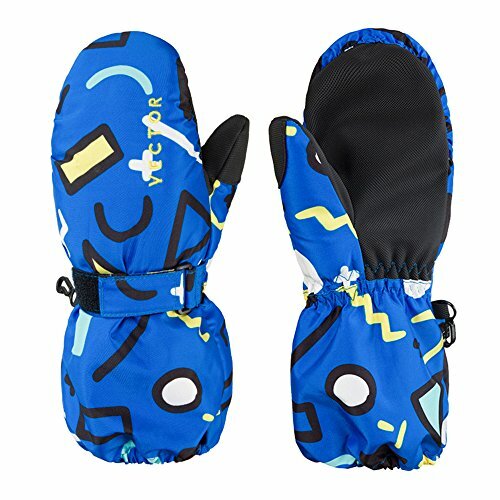 Warm Heat Insulation Cotton, fleece liner, make sure each pair gloves so that heat stays in, and moisture stays out – plus, it’s breathable to prevent heat loss due to perspiration, and to keep the mittens comfy enough for your kids to wear all day long. Suitable for participating in outdoor sports such as skiing, snowboarding, mountaineering, rock climbing, hiking, and more. Materials: Polyester Shell; Warm Heat Insulation Cotton, fleece liner. Insulated cotton, fleece liner,ultra-soft & warm for you kids to wear comfortable all-day. Anti-slip: Reinforced palm & thumb patch increases grip.